In this work we study a non-linear generalization based on affine transformations of probabilistic and quantum automata proposed recently by Díaz-Caro and Yakaryılmaz (in: Computer science—theory and applications, LNCS, vol 9691. Springer, pp 1–15, 2016. ArXiv:1602.04732) referred to as affine automata. First, we present efficient simulations of probabilistic and quantum automata by means of affine automata which characterizes the class of exclusive stochastic languages. Then we initiate a study on the succintness of affine automata. In particular, we show that an infinite family of unary regular languages can be recognized by 2-state affine automata, whereas the number of inner states of quantum and probabilistic automata cannot be bounded. Finally, we present a characterization of all (regular) unary languages recognized by two-state affine automata. An earlier version of this paper appeared as “Villagra, M., Yakaryılmaz, A.: Language recognition power and succinctness of affine automata. 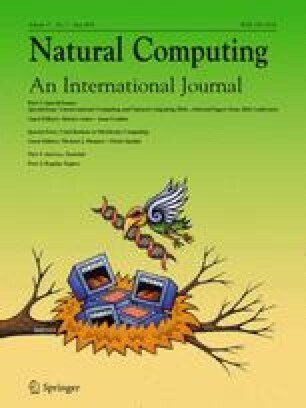 In: Unconventional Computation and Natural Computation, LNCS, vol. 9726, pp. 116–129. Springer (2016)”. The current paper has augmented this original work by presenting full details of all proofs. Some parts of this work was done while Yakaryılmaz was visiting Universidad Nacional de Asunción in September 2015. We thank to the anonymous referees for their helpful comments. Yakaryılmaz was partially supported by CAPES with Grant 88881.030338/2013-01 and ERC Advanced Grant MQC.